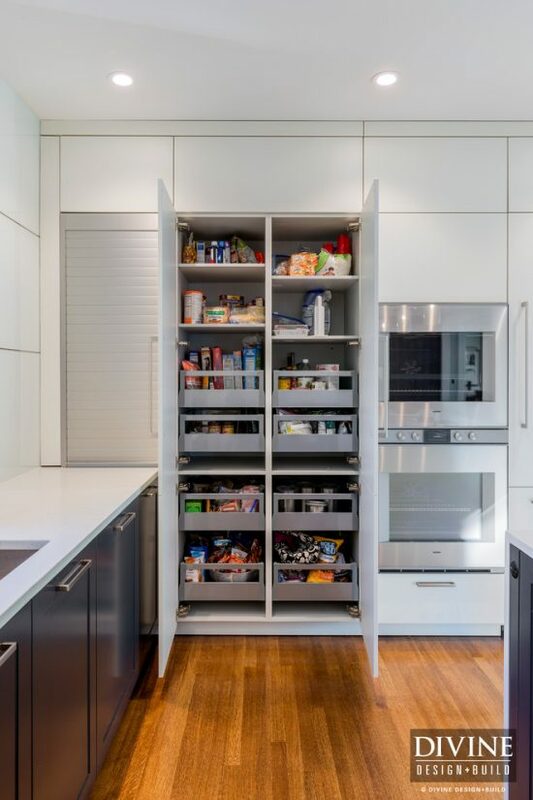 The modern kitchen designs aim to create a spacious and aesthetic look using clean lines, empty and glossy surfaces, ergonomic layout, and organized storage spaces. 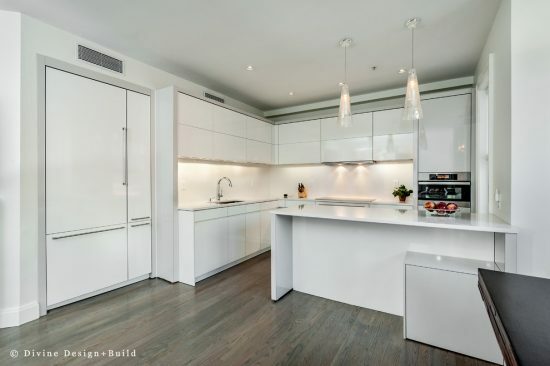 If you intend to create a new kitchen or remodel an existing one, you can make use of Mariette Barsoum projects and inspire the suitable ideas for your home. 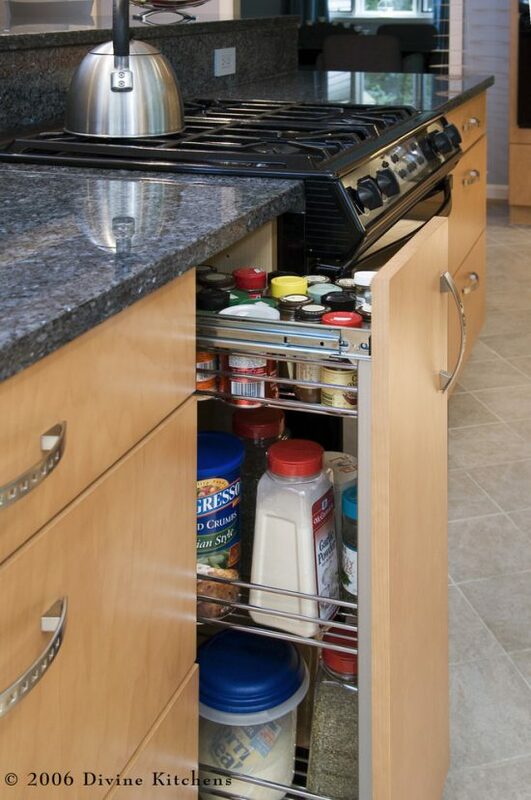 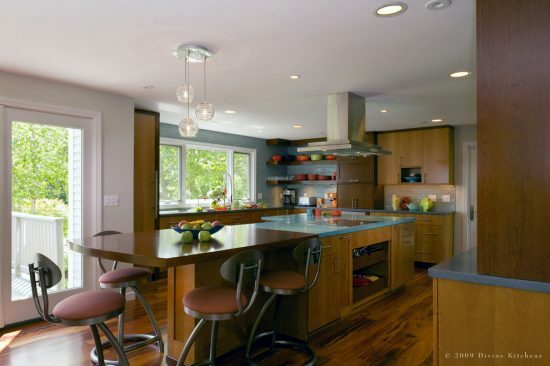 In your modern kitchen, you need to remove clutter and keep the place organized all the time. 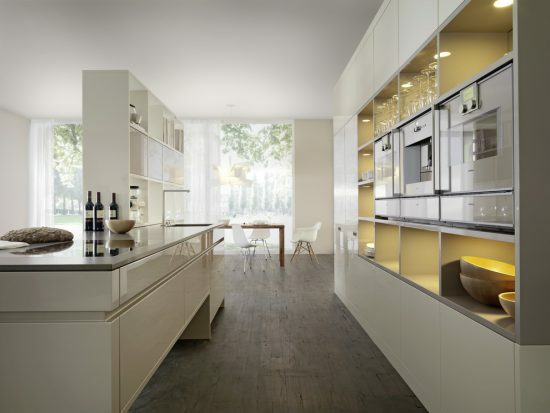 If you prefer white and black colors, the revival of Newton Victorian modern kitchen will certainly inspire you. 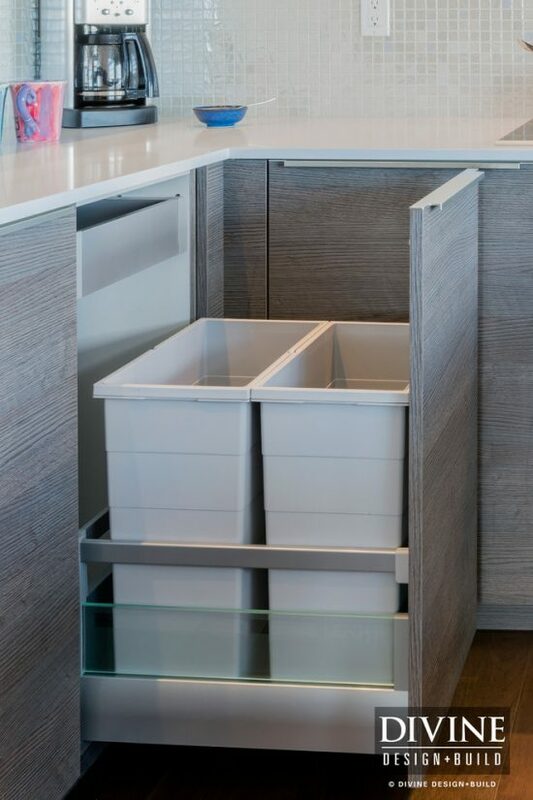 The kitchen has several storage techniques including sliding shelves, under-sink hacks, large drawers with organizers, and floor-to-ceiling pantry making use of every wall space in the place. 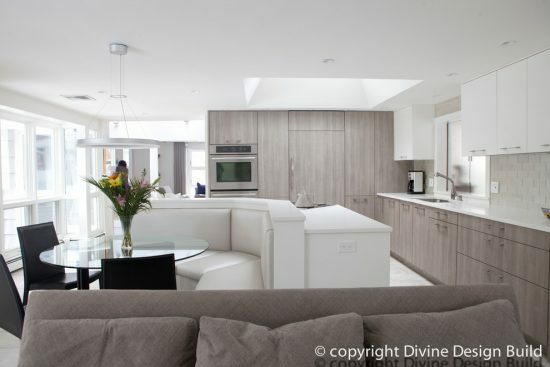 The white and glossy surfaces with mixture of natural and LED light provide the place an incredibly spacious look. 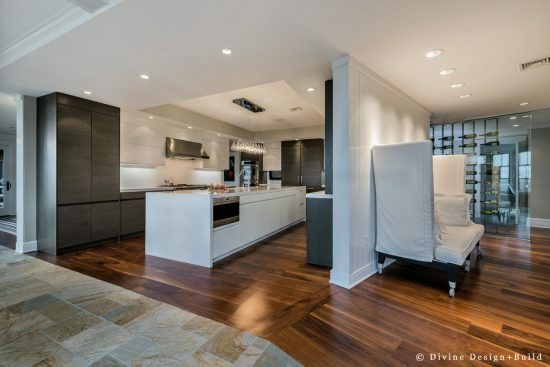 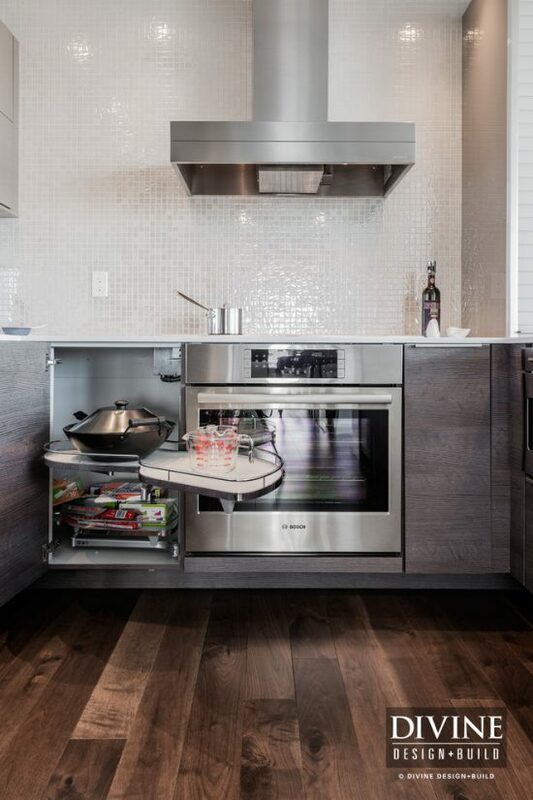 the electric cabinet doors and slide out hood in Clarendon South kitchen enhance the high-end look of the place. 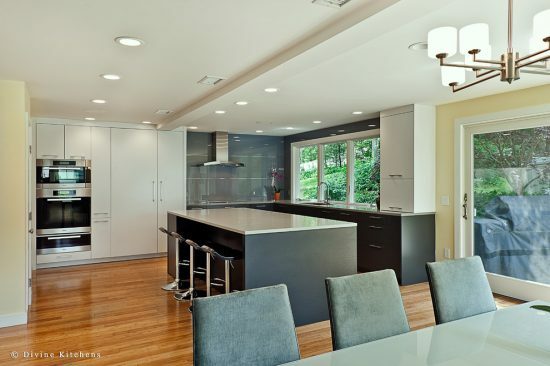 If you need to create a dramatic look in your kitchen, the combination of balanced black and white with hidden lighting and a touch of fresh color will be an ideal option. 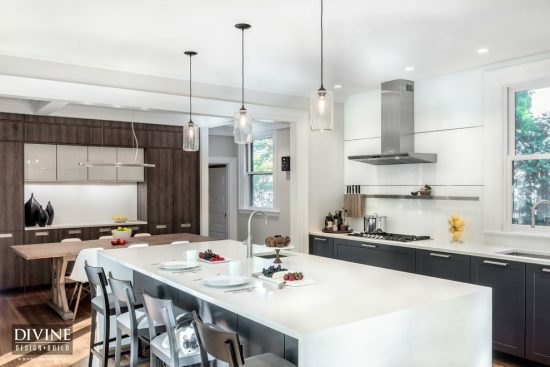 In a Narragansett home, Mariette Barsoum and Divine Design team members use glossy birch floor with quartz island and countertops in addition to a combination of white and black cabinets. 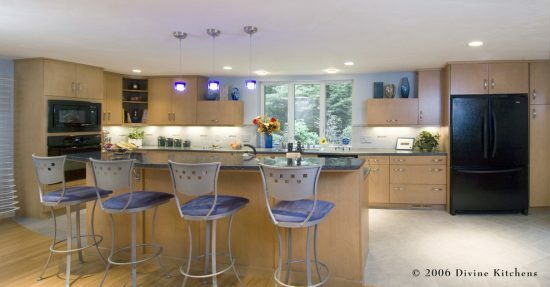 To enhance the dramatic look of the place, the designers install spotlights along the ceiling frames and hidden lights under the upper shelves of the cabinets. 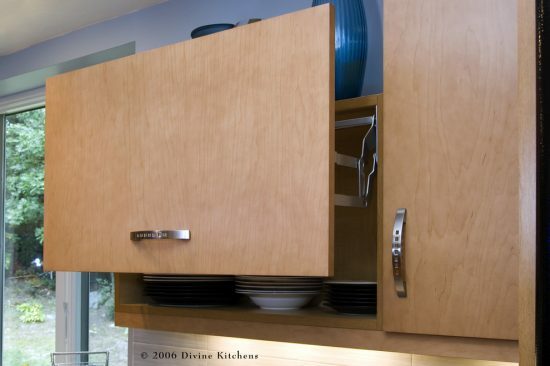 You can still create open shelves in your high-end kitchen providing the place a splendid and sparkling look. 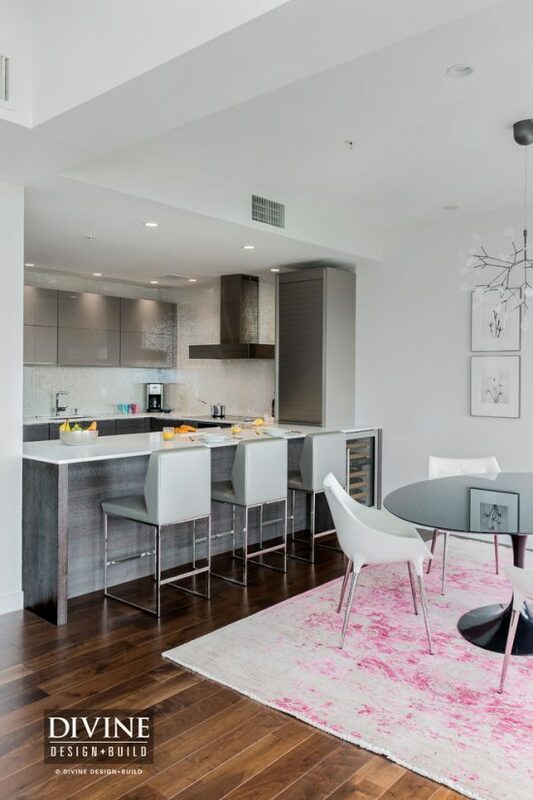 to enhance the stylish look of the place, you can add red or blue chairs and fresh green plants along with natural stone countertops.